What Are The Benefits Of A Custom Bandpass Filter? 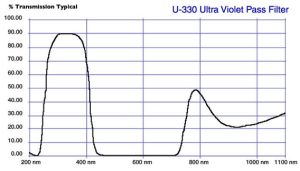 UKA Optics, who designs and manufactures optical lenses for industrial, medical, high tech and electronic applications, explains that bandpass filters are “optical filters that allow for the transmission of specific range of wavelengths or band.” This type filter also blocks other wavelengths. There are off the shelf options for organizations that want to purchase bandpass filters but many users find they need to work with an optic manufacturer to get the filter that meets specifications and requirements as they relate to bandwith or center wavelength. You may need a shortpass or a longpass filter or a custom designed bandpass filter. What is a longpass filter? It’s is one in which the optical filters reflect short wavelengths while still transmitting or passing the long wavelengths. A shortpass filter, on the other hand, will transmit the short wavelengths but will reflect the long ones. Knowing your requirements is crucial to getting the bandpass filter that will perform as needed. You may find that stacking long- and shortpass filters could create the custom solution necessary to meet the scenario required in your image capture needs. If you find that you’re unable to make off the shelf filter combinations work for your unique needs, the lens manufacturers from UKA Optics can provide the solution. After providing your specifications, our engineers can design a custom solution and explain how the solution will best solve your needs. Contact Universe Optics by calling 1.516.624.2444 or email us at info@UniverseOptics.com.